Choosing the proper elevator size isn't as difficult as you may think. Although right now you may see this as a very daunting task, rest assured that, by asking yourself just a few simple questions, you'll be able to make a size decision rather effectively. Accommodation – The first thing you need to consider is, "Why am I purchasing an elevator in the first place?" If you're purchasing it to increase accessibility to your home, then keep this in mind. Do you want the elevator to carry more than one passenger at a time? Do you want it to be large enough to accommodate a wheelchair? Are you only concerned with it being able to carry you? If you want an elevator that can service a larger number of riders, then be open to high-capacity models. Space Allotted – The second thing you need to think about is, "How much space do you have in your home or office building?" If space is limited, be aware that you may have to install a smaller option; if space isn't an issue, well, your choices are far less limited. If you picture your new elevator tucked out of sight, understand that the elevator might have to be smaller than you originally expected it to be. Budget – If you're on a budget, keep in mind that the larger the elevator is, the more expensive it will be. Even if you have all the space in the world and you prefer your in-home elevator to be able to carry multiple persons, you may not be able to afford such a large machine. Larger elevators require more energy, more materials, more space, more installation time, and more time to build. Thus, they are more expensive. If you're trying to save money, opt for a smaller model. 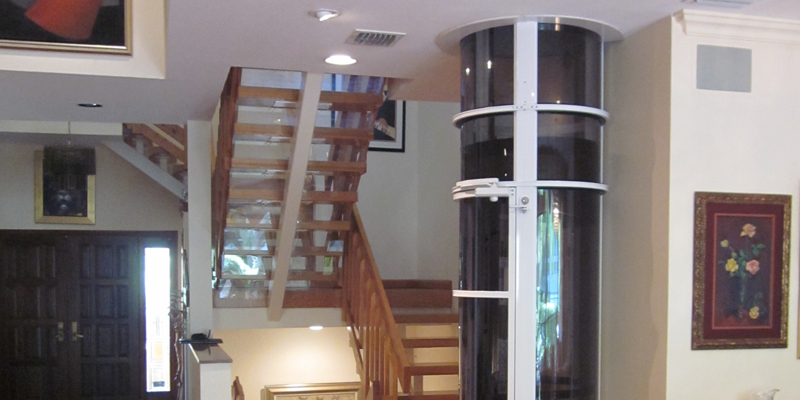 The bottom line is this: There are many factors that go into deciding which glass elevator size is best for your home. Although you may be in love with a grand glass elevator, it won't do you or your family much good if it won't fit properly. Plus, you don't want to break the bank when you have the option of purchasing a smaller glass elevator that works just as well as a larger one. Before you commit to the size of your new glass elevator, make sure you review your budget, your intended goals for the in-house elevator, and the space available. Good luck and enjoy your new machine!